I have no idea what to think about this one - total coin flip IMO. 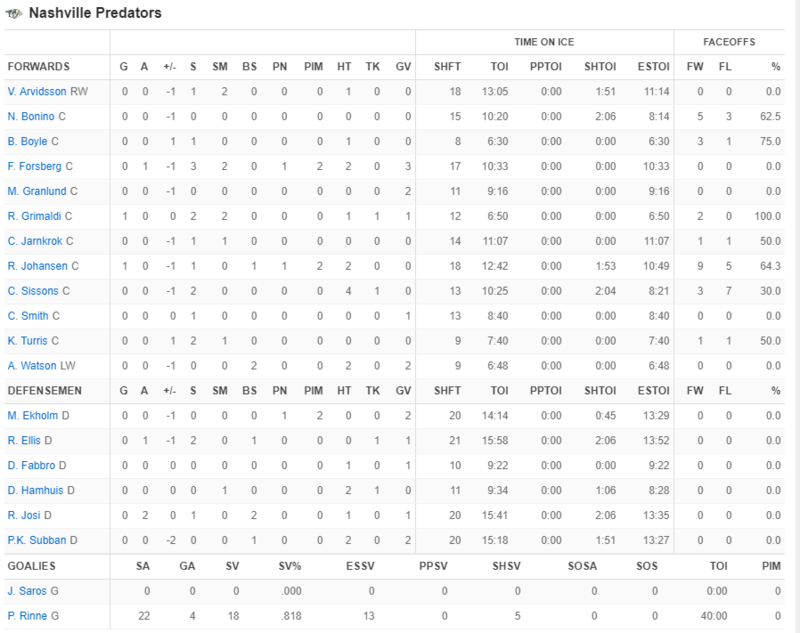 I'll say the Preds find a way to pull it out - 7 gamer. This series will be the ultimate cure for insomnia. This has the makings of a very boring series. With 2 low scoring....and defensively sound teams, it will probably come down to a couple lucky bounces, rather than one team dominating play throughout the series. Preds in 6. Ben Bishop won't last two games without getting injured. I think Nashville has more depth, but would probably take the Stars top guys over Nashville's. For me, depth in the playoffs beats having the better top end guys (it ain't the NBA) which is why I like Nashville over Dallas. Still think this one goes 7 and its home ice that helps Nashville prevail. Somone get early 2010s Minnesota to fly to Nashville. Only when all of the boring teams are reunited, will the Knights Templar ride again. Man I miss Chris Cuthbert calling regular games. #Preds announce Wayne Simmonds is week-to-week with a lower-body injury. Brian Boyle had an appendix procedure and is week-to-week as well. Is Simmonds really a loss at this point? He's been pretty ineffective since being acquired. Boyle is a handy guy to have around in the playoffs. Wow what a passing play on that Radulov goal. Pretty. You always had the sense that Dallas could be one of the league's best teams if all their top players got going at the same time. The Radulov pickup has been a good one for the Stars. Another division leader up against elimination. What a strange post season.